JOIN IN THE ADVENTURE DURING FRONTIER CAMP 2019! Frontier Camp takes your camper back in time to live the life of a frontiersman/frontierswoman like Daniel & Sarah Smith, the founders of Rock Castle. 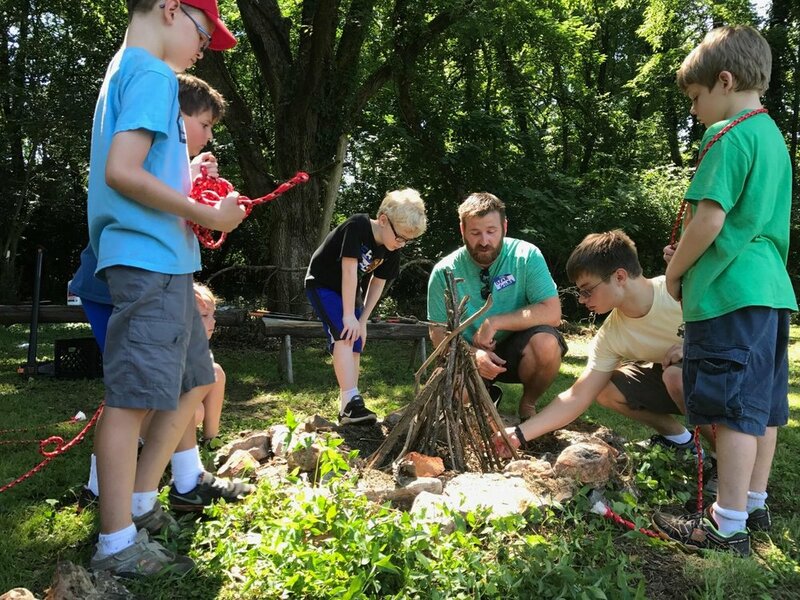 Campers will learn frontier skills such as building a fire from scratch, knot tying, survival fishing and trapping, primitive shelter building, orienteering, target shooting, paddling, and more! Sign your child up for a summer camp experience that will bring history to life! ** Please note: campers will likely be kayaking/swimming in the Rock Castle cove each day (weather permitting). A lifeguard will be on duty at this time, and Rock Castle staff will be in the water with the campers at all times. Life vests will be absolutely required. If you have any questions/concerns, please email Jess Gilbert.